HD Body Sculpting is a lot like Liposuction, but better. 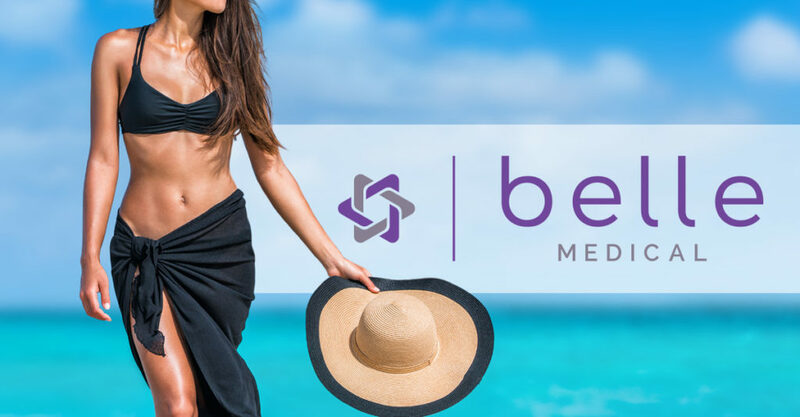 The Belle Medical machine uses a high-frequency vibration to eliminate the unwanted fat. The vibrating hand grip for the liposuction cannula completes the perfect system. Vibration liposuction is a tried-and-tested method for fat removal. With this method, the suction cannula is vibrated axially which, in combination with the suction vacuum, cuts and removes the fatty tissue microscopically and gently. The vibrations enable the surgeon to work with greater precision and the separated fat cells are then easier to suction off. This technique offers advantages for both the surgeon and the patient. Less force is required to move the cannula, the surgeon is thus able to work with greater precision. The exact adjustable pump rate of the saline solution in the tissue is gentle for the patient and time saving for the doctor. Gentle vibration increases patient comfort. Minimally invasive – no damage to other body tissues. 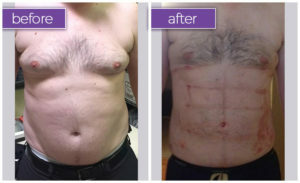 The patient can stand for abdominal etching and verification of symmetry. The patient can visually inspect the dynamic results. Minimal bruising, scarring and less downtime. Vibration-assisted analgesia helps to reduce discomfort for up to 36 hours post procedure. Increased safety because no sedation is required for patient comfort. Stimulates collagen production, resulting in tighter skin for many patients. Minimal downtime – HD Body Sculpting is a walk-in-walk-out procedure.